Just weeks ago, Ethereum World News reported that Tron (TRX), the blockchain brainchild of entrepreneur, purportedly Jack Ma-supported Justin Sun, surpassed a number of pertinent milestones, including 100 million smart contract triggers and over 100 active DApps. Now, per Tron’s biggest fans on Twitter, the popular blockchain network, recently called the “hottest cryptocurrency” by Bloomberg, has surpassed another set of key milestones, even amid a wider bout of market tumult. In a series of tweets retweeted by Justin Sun, one investor, going by “Mr. Gordon,” divulged that the network surpassed 200 million transactions, just 38 days after 100 million was breached. Misha Lederman, a diehard TRX fan that is the co-Founder of Iamdecentralized.com, subsequently divulged more statistics that played into Sun’s ego. Citing data from Tron’s in-house block explorer, Lederman revealed that the six millionth block was recently mined on the network. Moreover, just two days after the supposedly “hugely successful” niTROn Summit, which saw Kobe Bryant take to the stage to talk about the entrepreneurial attitude, a number of other key statistics have also come to light. 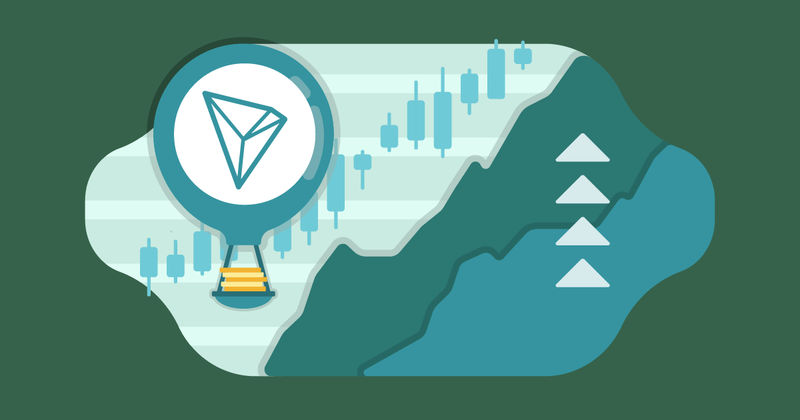 The TRX fan, who likely has a vested interest in the project, noted that Tron now supports 1.5 million accounts, 163 blockchain-based applications, and recently made strides in its efforts to bolster BitTorrent, referencing the announcement of BTT and the subsequent announcement of a token airdrop. Just recently, Ethereum World News’ John claimed that the airdrop of BTT, a token centered around a world-renowned torrent service owned by Tron, could have a positive effect on the price of TRX for years to come. He claimed that the long-term distribution plan, slated to pan out over six years, will ensure that TRX holders “HODL,” reducing on-exchange supply to push up prices. He added that this simple airdrop plan, supported by Binance, OkEX, Huobi, among others, will “guarantee” an interest in the asset until a minimum of 2025. In other Tron-related news, the project, headquartered in China, recently concluded its first DApp accelerator program/accelerator/competition. The program saw attendance from over 1,000 developers, who created over 113 DApps on the network to bolster adoption, use, and excitement surrounding Tron. $1 million in prizes was purportedly distributed to 56 winners, who didn’t get an exactly equal share. As the crypto market remained in a tumultuous state over the past week, TRX has done quite well for itself. In fact, per data compiled by Coin Price Watch, the asset’s market value has swelled 7% in the past week, as Bitcoin lost 2.3% of its value. In the past 24 hours, TRX has continued to outperform the broader market, becoming the best-performing cryptocurrency in this industry’s top thirty, which includes Ethereum & XRP, but only by a slight margin. Regardless, the popular cryptocurrency, which may have seen an influx of positive sentiment due to Binance’s recent addition of newfangled TRX pairs, posted a 1.5% gain, moving to $0.0264 apiece.